I’ve never done a film review on NWDV before, but then again there perhaps has never been a film so controversial in recent times for its production choices as The Hobbit. When Peter Jackson announced that they were shooting The Hobbit in 48 fps, it was met with praise by some and skepticism by many. So now that it’s out, how did I feel about it? A film is only as good as its story. 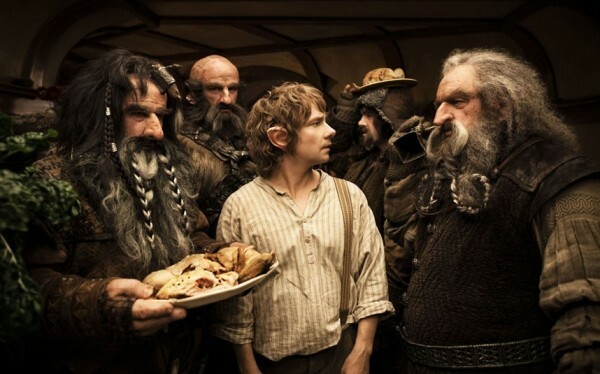 Another point of controversy for Jackson was his choice to split The Hobbit up into three separate films. Many felt that it would be difficult for him to keep our attention through three films. I’ve read a handful of reviews from people who weren’t fans of the LOTR Trilogy and most of them tore The Hobbit apart. Personally, I’m a big for of the LOTR Trilogy and own all the films in the Extended Editions. I enjoy the LOTR universe and don’t mind spending a little extra time in it. That said, you still have to care about the characters and the story that you’re watching. I did enjoy all of The Hobbit, even the drawn out parts. It almost felt like an Extended Edition with extra background story that may have not seen a normal theatrical release. So that said, if you like the LOTR, you are likely to enjoy The Hobbit. The Hobbit is yet another film that was shot entirely in 3D. Filmmakers continue to try and convince us that 3D is the future of films. I hope they are wrong as it plainly doesn’t work. The more I watch 3D films, the more I realize why 3D isn’t effective in movies. As I’ve said before, 3D is fine for other forms of entertainment, video games, amusement parks, etc. but it doesn’t work for films. 3D is suppose to create an immersive experience, but this only works best when the framing is setup to best make use of 3D. The stories in movies are told from the closeup which is where we see character interaction. This is the worst place for 3D. Plus, 3D is jarring when you cut from one shot to another…which is what happens all the time in films. Even though The Hobbit is some of the best 3D you’ll see out there, 3D is still not the best version of this film. It was hard to find a theater that was showing the film in HFR, much less in 3D and IMAX. But we happened to be driving four hours to Chicago for a shoot and were passing by a theater that did. As the movie began and we could see the first few seconds of 48 fps the first impression that I got was, “This feels like a fan film of LOTR that was shot on a cheap camera.” I’ve heard people say they felt like they were watching the BTS and not the film. The truth is, 48 fps is not natural for us to watch films in. It took me about 20 minutes to begin getting used to the HFR. If I had to, I’m sure I could accept this as a new format, but I would be kicking and screaming the whole way. 24 fps has a unique look that we have all become very accustomed to and it is not outdated as some filmmakers are saying. So there you have it. I enjoyed the film and can’t wait to see it again. I only hope that when the countless versions of the film are released, that there is a 2D, 24 fps Blu-ray version I can buy. I saw the film in 2d/24 and 3d/48, I thought there were parts of the film that worked to the advantage of 3d/48, but like you said they were the parts with longer cuts. The deep focus wide shots that lasted longer took on a live performance feel. The riddles in the dark sequence I thought was better in 3d/48. In general I found myself wishing the movie had been shot one way or the other, it feels like to much of a compromise between art forms. Trying to take a 24fps 2d art form and adapt it to hfr 3d. That said I to am a fan of middle earth and enjoyed it in spite of all this. If you’re interested here is something I wrote back in 2011 when I found out The Hobbit would be shot in 48fps. http://www.videocandycompany.com/?p=224 I think my conclusion holds true, it is a compromise technologically and artistically.